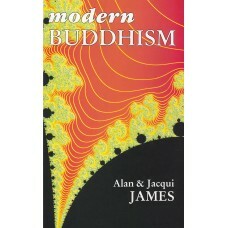 Modern Buddhism provides answers to questions that have always haunted mankind. Death and dying: a wasted and terrifying experience - or an opportunity for spiritual growth? A meditation teacher describes the way she helped her mother approach the doors of death. Family relationships: why do some families live in harmony whilst others are constantly at war? What is the purpose of the family unit? Sexuality: what sexual habits are most conducive to progress along the path? Alan & Jacqui James belong to the tradition of teachers who present the essence of Buddhism in a way which is totally in tune with the needs of their own time and culture.